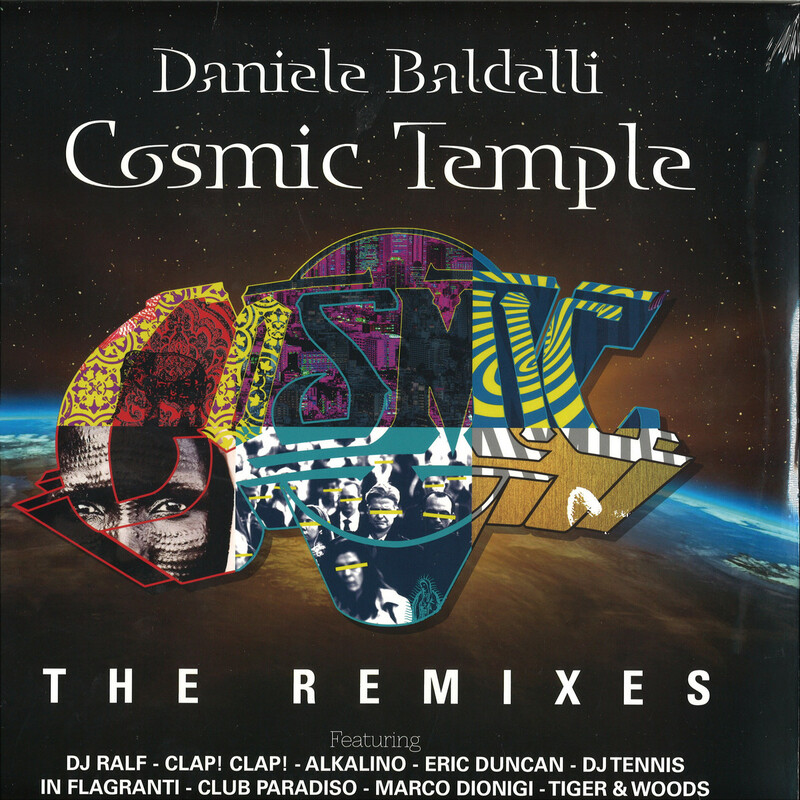 Brand new release on Mondo Groove with a Remix double pack of selected tracks from Daniele Baldelli classic ‘Cosmic Temple’ six chapters that were out on the italian label from 2015 to 2017. You can find everything for everyone in these new versions. DJ Tennis and In Flagranti tributing pure Cosmic sound with their interpretations of — Gandharva’ and — Afelio’, DJ Ralf transforming — Kosmaro’ into a house stomper, Tiger & Woods adding their subtle boogie touch and edit science to — Vhanessa’, Clap!Clap! 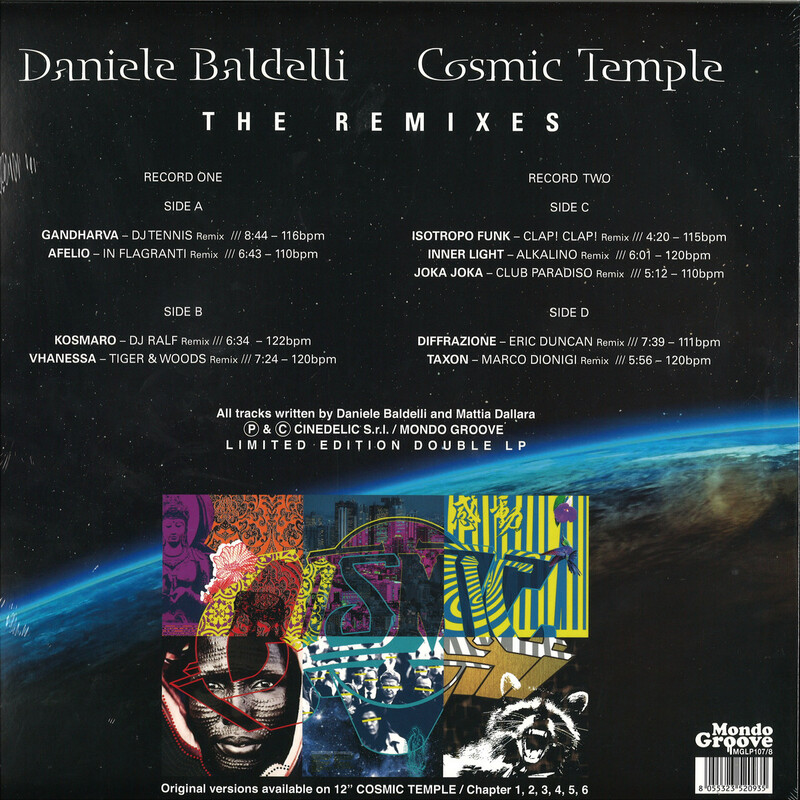 going deep and percussive on — Isotropo Funk’, Alkalino tripping italo-disco with — Inner Light’, Club Paradiso in an afro-balearic clash on — Joka Joka’, Eric Duncan working a deep-techy groove on — Diffrazione’, and Dionigi, often production partner of Baldelli, finishing in glory with a brilliant funky take on — Taxon’. You can’t sleep on this.